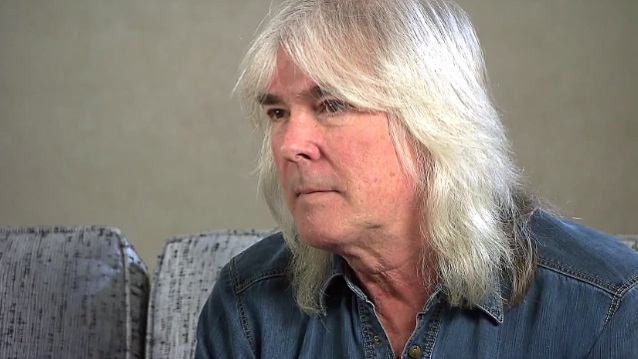 According to Naples Daily News, AC/DC bassist Cliff Williams has put his 13,223-square-foot, seven-room south Fort Myers, Florida mansion on the market. The rocker is asking $6.95 million for the house, which he purchased in 2010 for $5.1 million. The home sits on 2.5 acres and features seven full bathrooms, two half bathrooms and two guesthouses. Back in 2010, Williams listed his Savannah, Georgia townhouse and a Fort Myers, Florida home. The Georgia townhouse was said to be a restored home that was originally built in 1872. Williams and his wife bought the home in 2006 for $1.5 million to stay there while they visited their son who attended college in the area. They spent over a year renovating the four-bedroom home and added an English pub-style bar. The three-story townhouse had a side garden and a carriage house with two bedrooms. This home was listed at $1.95 million. The couple was also selling a four-bedroom home in Fort Myers, Florida. That home was a two-story Mediterranean-style home with a courtyard in Edgewater of Gulf Harbour. This home had a outdoor kitchen with gas grill and bonus soundproof music studio/exercise/hobby room over garage. The courtyard lanai included a woodburning fireplace with a gas starter and the pool is screened in. The home was prepared for storm season with a whole house backup generator with 500-gallon propane tank, as well as new impact windows. It was listed at $1.375 million.